Splitz flexible calculator. 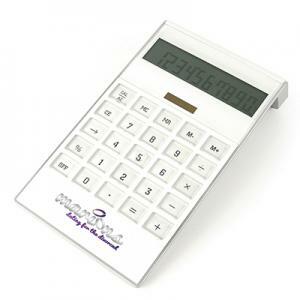 Flexible 8 digit calculator with white trim, raised numbers and memory function. Battery included. To order an unprinted Flexible Calculator, please complete the details below.